India is organizing the 10th edition of Defence Expo on 12th April in Chennai, Tamil Nadu. The event will be inaugurated by the Prime Minister Narendra Modi today. For this event, PM has reached Chennai. The event has been inaugurated by PM. Check out more from the event. Two ships from the @indiannavy will be docked at Chennai Port during #DefenceExpo2018 They will be OPEN to the general public for visiting on13th & 15th of April from 10am to 5pm. 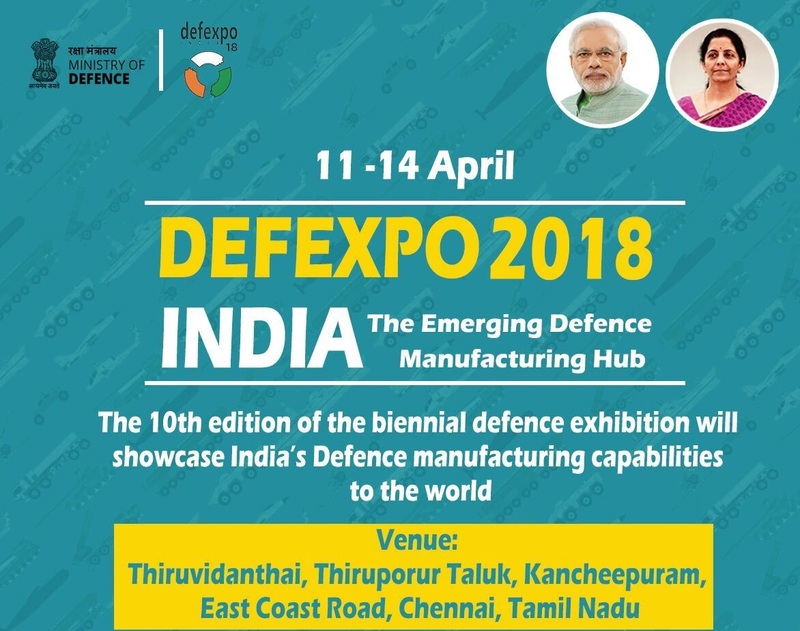 Chennai DefExpo 2018 is the tenth edition of the Defence Expo. It is a four-day event in which India’s defence manufacturing capabilities will be shown to the world. In fact, India’s Defence Expo has become one of the largest events in the world. The event has begun on 11th April but formally inaugurated by PM on 12th April. In this expo, more than 677 exhibitors including 150 from abroad will participate. They will showcase India’s capability in the export of defence systems and components. At Chennai expo, the major manufacturers from India like Tata, Bharat Forge NSE 0.32 %, Mahindra, DRDO, HAL and Ordinance Factories will participate. Talking about the International companies participating in this event, there are many big names. It includes BAE Systems of United Kingdom, Lockheed Martin and Boeing of the United States, Airbus and Rafael of France, Rosonboron Exports and United Shipbuilding of Russia, Sibat of Israel, Rhode and Schwarz of Germany. Major highlights of this event are live demonstrations of naval, air and land systems. Apart from this, to create defence innovation hubs throughput India, a national scheme will be launched. This scheme will encourage more startups in defence productions.